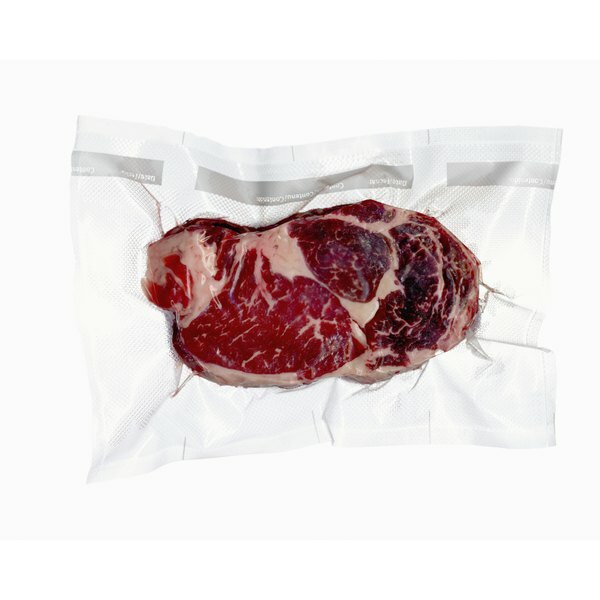 Sealing meat before freezing helps maintain quality. 1 If Meat Is Frozen, How Long Does It Take to Go Bad? 2 How Long Can Meat Stay out of the Freezer Before You Cook It? 3 How Long Can Frozen Food Sit Out Before it Goes Bad? Freezing meat twice presents two problems -- quality and safety. Each time you freeze a piece of meat, it tends to break down further. In terms of safety, the dangers lie not in the freezing process, but in the thawing. The trick is to minimize the time the meat spends in the temperature "danger zone." You can freeze meat twice, provided you follow some simple but important rules about handling frozen food. Freezing meat poses no safety risk in itself. However, as soon as you remove a piece of meat from the freezer it enters the "danger zone." This is a temperature range between 40 and 140 degrees Fahrenheit. At these temperatures, bacteria grow more rapidly, potentially releasing toxins that cause food poisoning. The general rule is that food in the danger zone for more than two hours should be discarded. For example, if you thaw meat on the counter, then refreeze, then thaw it again before cooking, it may mean more than two hours at dangerous temperatures. One way to get around the "danger zone" problem is to only thaw meat in the refrigerator. While this takes longer than using a microwave or running tap to thaw meat, it means the meat stays below 40 F. In fact, the USDA suggests that meat thawed in the refrigerator is safe to refreeze. 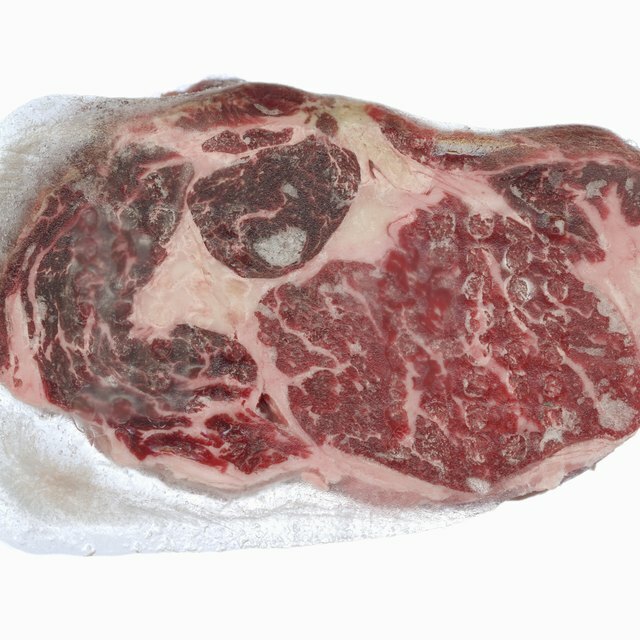 However, they also point out that thawed and refrozen meat tends to lose quality, as moisture leaves the meat during defrosting. Cooking usually ensures that thawed meat is safe to refreeze. This brings meat up to a safe temperature that destroys many of the organisms that may be present. However, cooked meat does not freeze as well as raw meat. When raw, meat contains more moisture, which helps it stay in better shape when frozen. Cooking from frozen generally takes at least one and a half times longer than thawed meat. If you buy frozen meat from a store and your journey home takes longer than two hours, it may not be suitable to freeze the meat again. Similarly, if you have a power outage, discard meat that stays over 40 F for a couple of hours. If you're unsure when the outage occurred, check for ice crystals in the meat. If present, and if the meat feels very cold as though refrigerated, it's usually safe to refreeze, according to Foodsafety.gov. Exploratorium: The Science of Cooking: "Is it Safe to Thaw and Refreeze Meat?" U.S. Department of Agriculture: Is it Safe to Refreeze Food that Has Thawed Completely?